I love the English language. I was an early English talker, an average English reader, and have made writing in English my profession. Sometimes, I imagine English loves me back. Even if it doesn’t, I can usually coax it to stand up on its hind legs and help me say whatever I want. No matter how much I love it, English is only one language. I don’t know how many other languages there are in this world – maybe no one knows for certain. It’s debatable and ill-defined. At any rate, there are hundreds. Maybe I’m greedy and faithless but it makes me sad to have full use of only one of them. It’s not that I haven’t tried to learn more. Just about every English-speaking Canadian reaches adulthood with some ability in French. Our country has two official languages. Like most of my comrades, I sat through daily French classes in public school. On the east coast of Canada, most of my teachers were Francophones – Acadians with an accent different from the one in Quebec and definitely different from the Continental chit-chat on the cassette tapes that came with our textbooks. When my parents moved us back to western Canada, I was taught French by an Anglophone who spoke like a computer simulation of a human being talking French. Whatever their quirks, I’m glad for those lessons. They were not a waste of time. The proof is that I can hold my own in my sons’ elementary school French immersion classes – for now. In university, I needed credit in a language other than English in order to qualify for my degree. 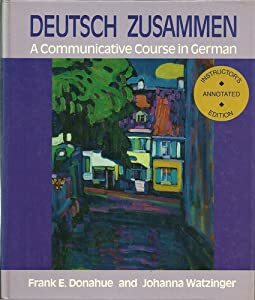 I was tired of speaking badly only in a Romance language so I enrolled in German. The vocabulary was a blast. German pronunciation was fun and I found myself reading it aloud even without comprehension simply because the sound of it made me so happy. The grammar, however, was cruel. I took my introductory course and was surprised to receive a letter from the German department offering me a spot in their honours programme. It was sweet but the fact was (and is) that the German phrase I used most often was, “Wiederholen Sie das, bitte?” It means, “Can you repeat that please?” I used it to stall conversations while I slowly and painfully tried to decode the language. I discovered Asian languages outside of school when my kids became fascinated with east Asian pop culture. Currently, most of the television we watch comes from Japan, South Korea, or Taiwan. I know about twenty words in Japanese, slightly fewer than that in Mandarin Chinese, and about 90 words in Korean. But my Asian vocabularies are not very useful in normal, daily conversation. The phrases I know tend to be the kind of thing someone might shout in dramatic dialogue – things like, “How can this be?” or, “There’s no time!” or, “Do you want to die?” or, for really special occasions, “Don’t go! I’m sorry! I love you! Come back!” Yes, my conversations with the nice Korean guys who own my favourite gas station have to be kept short or things might get a bit melodramatic. Tallied up, that’s 4+ languages attempted and only one mastered. It’s not an impressive record. But I can’t quit now. This summer, I’ve started seeking out a new second language. It’s different again from anything I’ve ever studied. For once, pronunciation isn’t a concern. This language is not in my mouth. It’s in my hands. I need to learn American Sign Language. A family member – the wife of one of my brothers – is losing her hearing. It’s her story and I won’t try to tell it for her. She’s a writer and can share it without any help from me. My sister-in-law is a smart, pragmatic, optimistic person – a problem solver – and I’m sure she’ll figure out how to cope in a world where not enough people know how to talk directly to her. She’s losing her hearing, not her speech so she’ll remain able to tell us whatever she wants. No doubt, the person doing the heaviest lifting with my sister-in-law’s new communication strategies will always be her. But maybe I can help in my tiny way. And maybe language study will be different for me this time. It will come with an urgency, a purpose, and a focus it’s never had before. I’m not learning for grades or entertainment or curiosity or even in the interest of fostering Canadian national unity. Instead, I’m learning in order to stay connected to someone I love. It’s a language study aid I’ve never tried before. It’s more compelling than any of the impressive cultural, political, commercial, or neurological arguments that can be made for studying a new language. Whatever it is, “Sister” is one of the first signs I’ve learned.